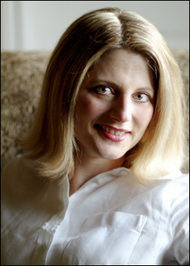 From the publication of her very first historical romance, Laura Lee Guhrke has received numerous honors and critical acclaim for her novels and her writing style. She has been honored with the most prestigious award of romance fiction, the Romance Writers of America Rita Award, and she has received additional awards from Romantic Times and All About Romance. Romantic Times has proclaimed her, “One of the most natural voices in historical romance to be found today”. Her books routinely hit the USA Today Bestseller List, and Guilty Pleasures has been honored with the Romantic Times Award for Best European Historical Romance of 2004. Among her publishing credits are twelve historical romances, including her latest, And Then He Kissed Her, now From the publication of her very first historical romance, Laura Lee Guhrke has received numerous honors and critical acclaim for her novels and her writing style. She has been honored with the most prestigious award of romance fiction, the Romance Writers of America Rita Award, and she has received additional awards from Romantic Times and All About Romance. Romantic Times has proclaimed her, “One of the most natural voices in historical romance to be found today”. Her books routinely hit the USA Today Bestseller List, and Guilty Pleasures has been honored with the Romantic Times Award for Best European Historical Romance of 2004. Among her publishing credits are twelve historical romances, including her latest, And Then He Kissed Her, now available from Avon Books. Laura is currently hard at work on her thirteenth historical romance for Avon Books. She has also written articles for various publications, including the Romance Writers Report, The British Weekly , and the Irish-American Press. Is this you? Let us know. If not, help out and invite Laura to Goodreads.